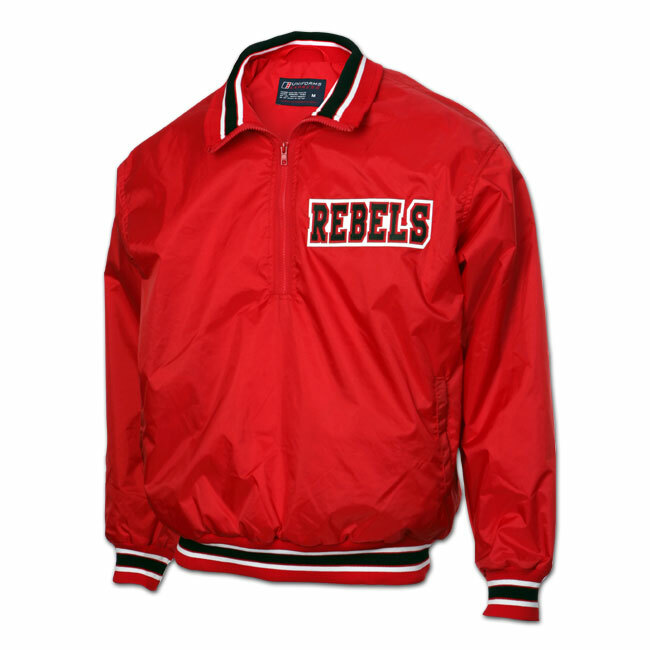 Full button-up baseball jacket, 2 1/2" knit collar, cuffs and waistband available in any color combination. Quilted or lightweight lining. 2 front pockets. Water resistant. Available in premium brushed polyester micro fiber and heavyweight nylon. V-neck pullover baseball jacket. Knit collar, cuffs and waistband available in any color combination. Lightweight lining. 2 front pockets. Water resistant. Available in premium brushed polyester micro fiber or heavyweight nylon. 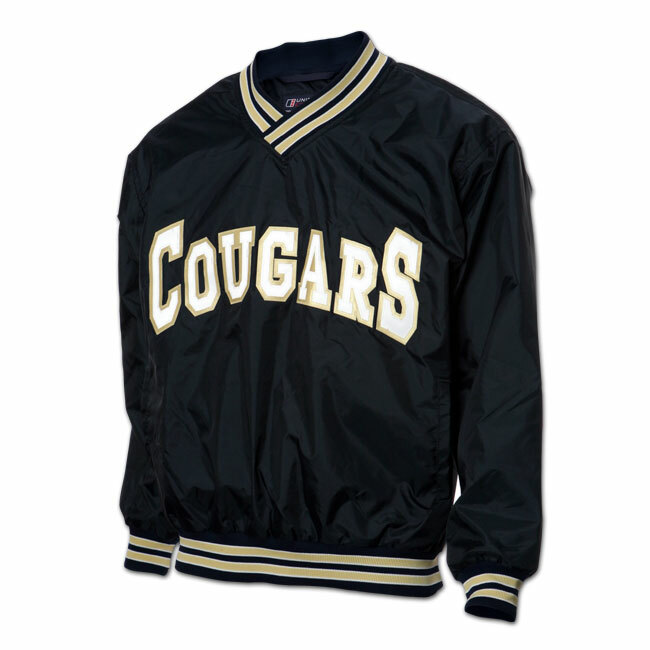 1/2 zip pullover baseball jacket, 2 1/2" knit collar, cuffs and waistband available in any color combination. Llightweight lining. 2 front pockets. Water resistant. Available in premium brushed polyester micro fiber and heavyweight nylon. 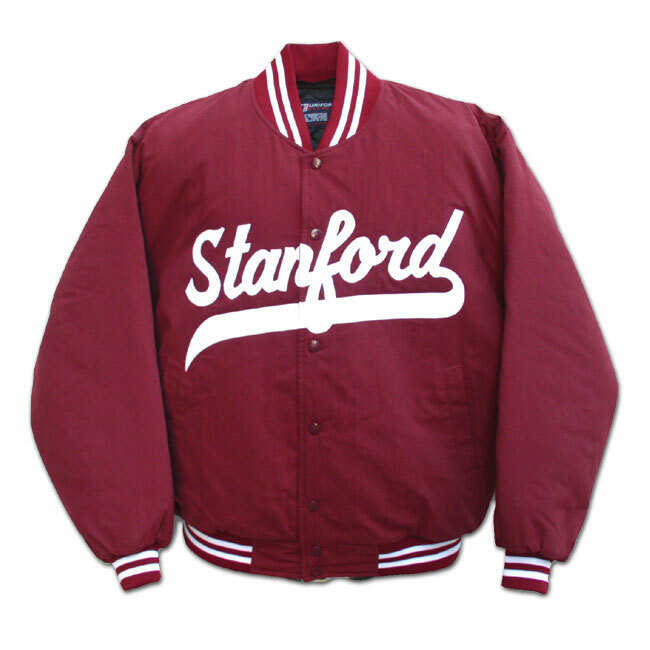 Full zip-up baseball jacket. Stand-up knit collar, cuffs and waistband available in any color combination. Quilted or lightweight lining. 2 front pockets. Water resistant. Available in premium brushed polyester micro fiber or heavyweight nylon. 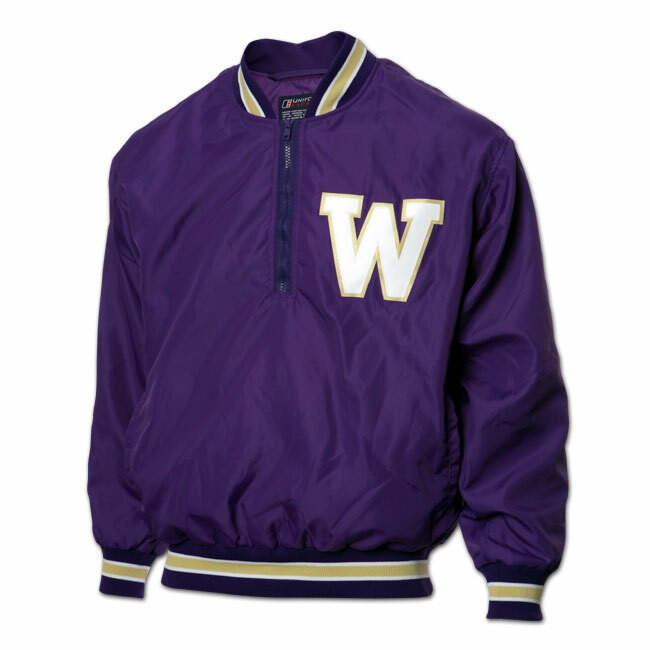 1/2 zip pullover baseball jacket. Stand-up knit collar, cuffs and waistband available in any color combination. Lightweight lining. 2 front pockets. Water resistant. Available in premium brushed polyester micro fiber or heavyweight nylon. 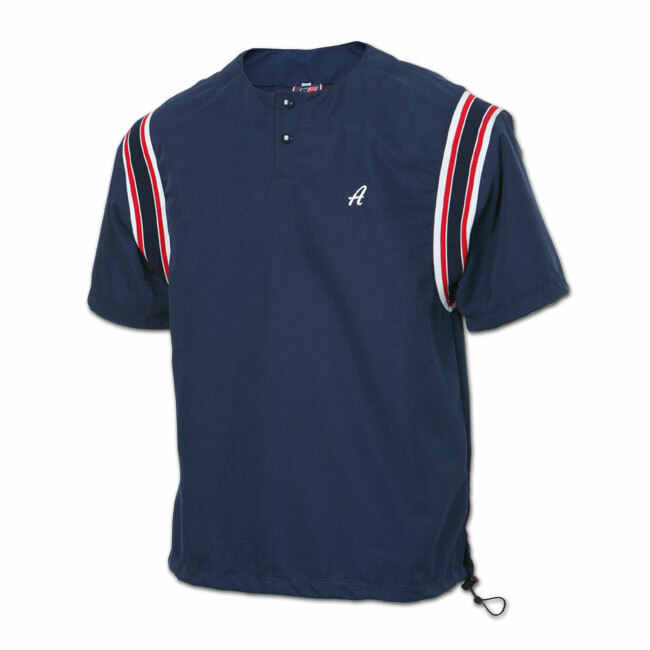 Short sleeve 2-button cage pullover with mesh inserts. Draw string waistband. Available in premium brushed polyester micro fiber and a lightweight nylon. 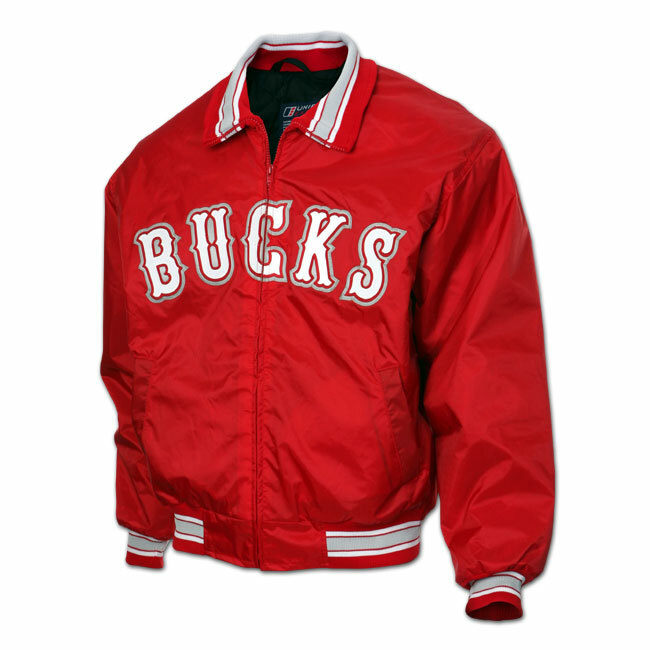 This is a heavyweight durable fabric with a slightly shiny finish. This (NEW) fabric is a very high quality soft but durable fabric. It has brushed finish which gives you a non shiny look. This fabric provides maximum comfort. This (NEW) fabric is a very high quality, soft lightweight and durable fabric. It has a slightly shiny finish and provides maximum comfort. Available in most team colors. YXXL, YXXXL - Adult Prices.